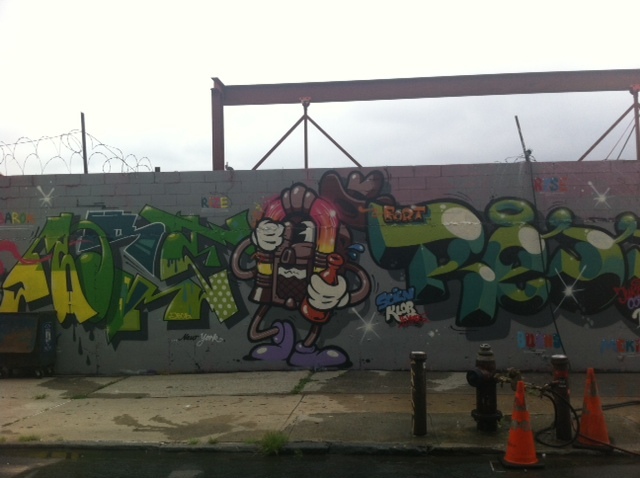 Quicky post to fill in some spots in Brooklyn with another terrific find in the ‘burg. I may be the only Meshugenah (thats crazy for the yidish challenged) in Staten Island to take his family all that way to Williamsburg for a 3 course meal. Before I talk about the recent food crawl, I have an announcement. Arirang, the popular Hibachi chain has added a new act 😯 Yes book now before it catches on!! Now when they do the snowman thing, they add something that resembles hair on top of it, call it Lady Gaga and proceed with a quick Bad Romance rendition. It was my oldest’s wish to go to Arirang for her birthday the other day and no I’m not going to shock my 3 loyal remaining readers by reviewing Arirang. I mean what professional food blogger or reviewer even goes to Hibachi steakhouses. Somehow I just cant imagine the New York Times reviewer frantically moving his head from side to side with his mouth open to catch the shrimp tail and then write about it. But if I would write about it, I would write about the deteriorating meat quality, shaky service and the weaker than usual volcano eruption. 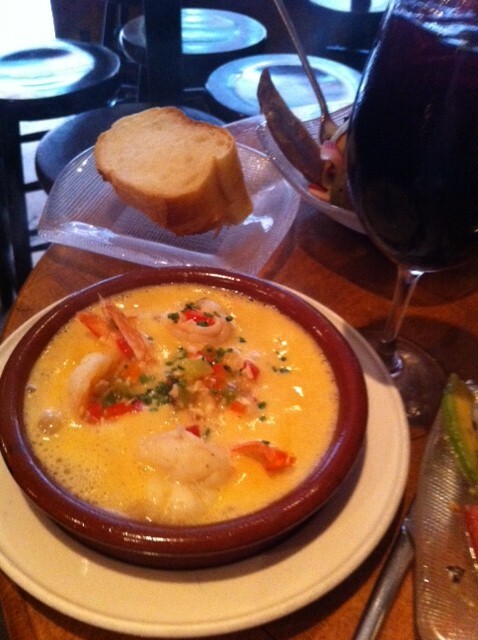 But I digress..
Las Ramblas – This tiny Tapas bar on west 4th dishes some pretty good stuff. Gambas San martin, 4 sizzling large juicy shrimp cooked with garlic, lemon, finely chopped peppers and white wine – Simple and delicious. Warm mushroom salad was perhaps the weakest dish but tasty nonetheless. Nicely grilled octopus with salad and purple potatoes was so good you overlook the too charred parts. 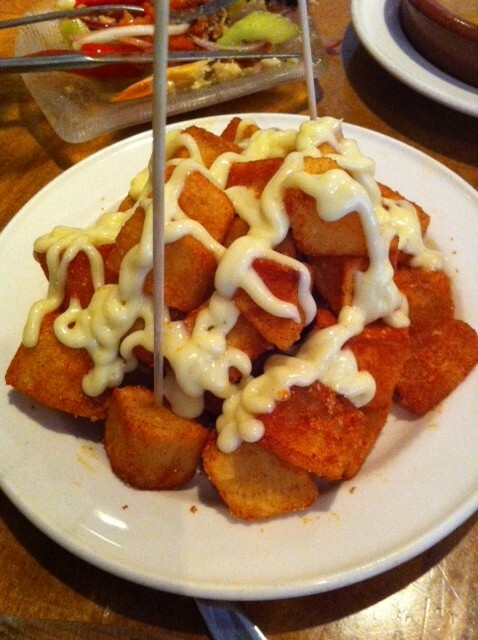 And then there was the spanish classic, the Patata Bravas, paprikad fried potatoe cubes with allioli sauce. Tender garlicky deliciousness, nicely done. 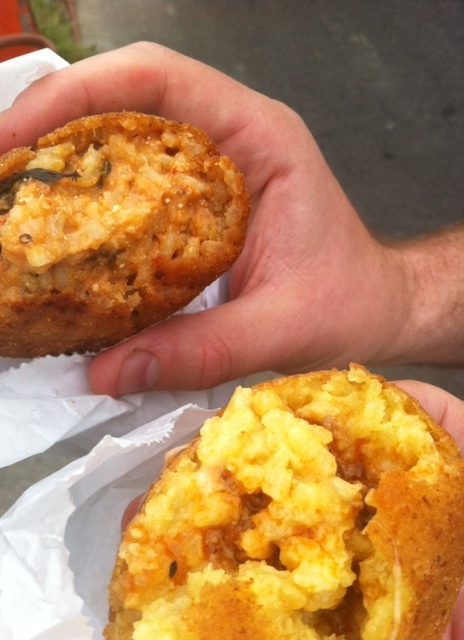 We’ll be back to try these again (except perhaps the mushrooms) and some more. Porto Rico Importing Co – This is the place to go for your home coffee needs. Or if you have a slight hearing deficiency and want to go somewhere that smells really good to satisfy your strong sense of a smell. That is the case with HW who’s now taking truffle searching courses. 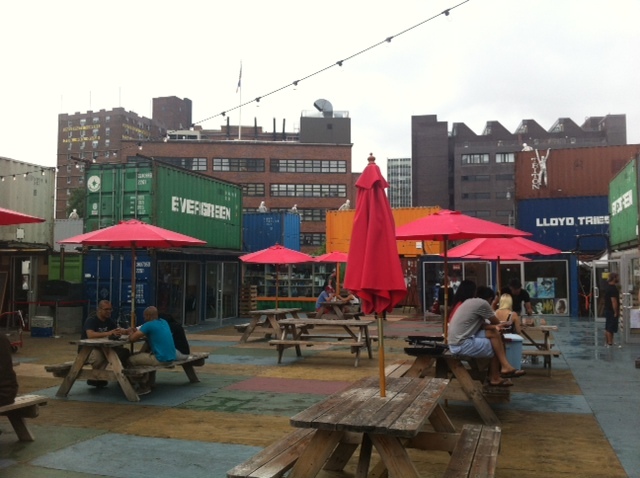 Alta – A repeat for me and still one my favorites in the city. A huge array of mediterranean tapas in a dimly lit, multi level converted townhouse. 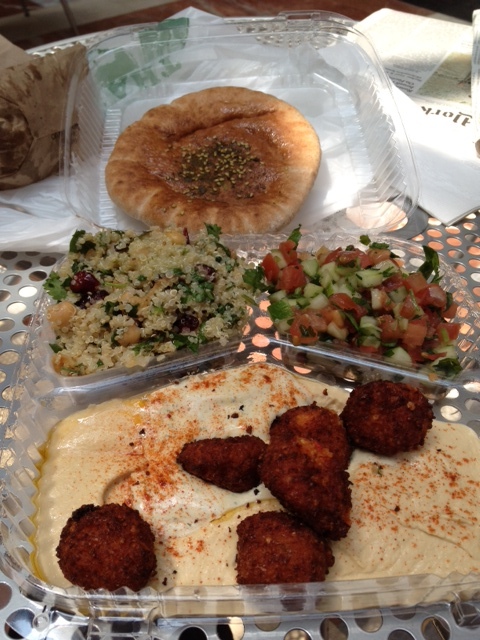 The menu is large and fairly diverse with influences from all over the mediterranean. Try the bacon wrapped dates with Olives stuffed with Almonds dish but order it with the just the dates, no olives. Even the waitress said many do so. I’m not a huge bacon fan but this is really good stuff. HW was really impressed with the Brussels Sprouts. Nicely crisped with granny smith apples, pistachios and a tasty sauce. This is the dish that made us (wife and I) start cooking Brussels Sprouts!! 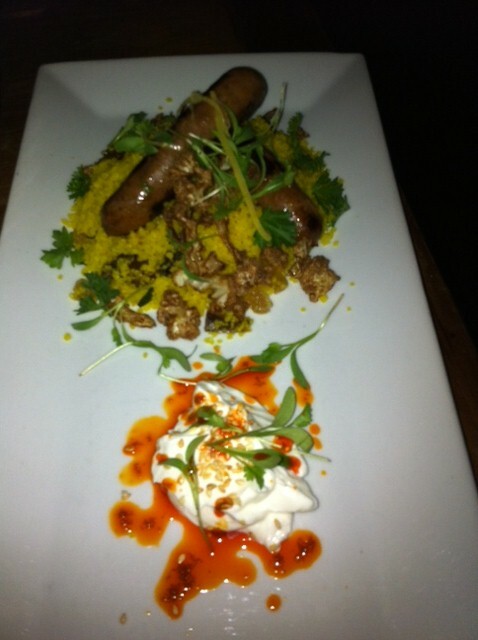 The Grilled Merguez sausage is house made and comes with couscous and dates, Harissa and lebne. We both agreed this was more about the accompanied goodies rather than the sausage itself. 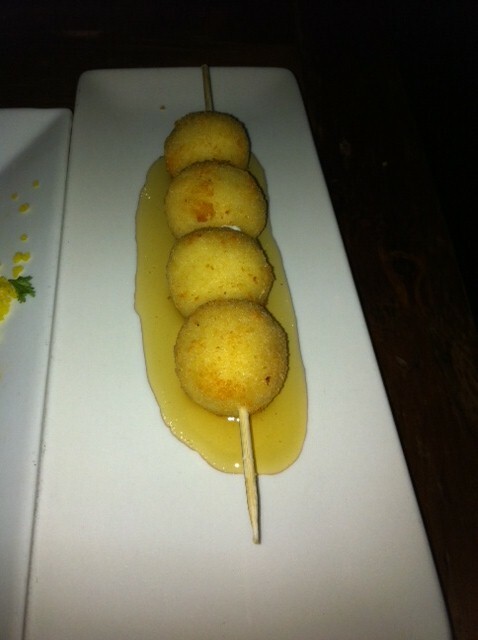 The fried goat cheese balls of deciousness with lavender infused honey is the perfect ending. The lavender is what makes this dish. In the past we also enjoyed the scallops and lamb meatballs. And there are easily 10-20 other dishes I would like to try like the octopus and the chicken wings. 2. “Is it like Pepperoni?” – while pointing at something on the menu. At least make sure you are in the right meat vicinity and not pointing at some kind of cheese or a vegetable. BTW in Italy if you order pizza with Pepperoni you get a smile followed by pizza with peppers. 3. “Can you bring the garlic and pepper shakers?” – NO SOUP FOR YOU!! 4. 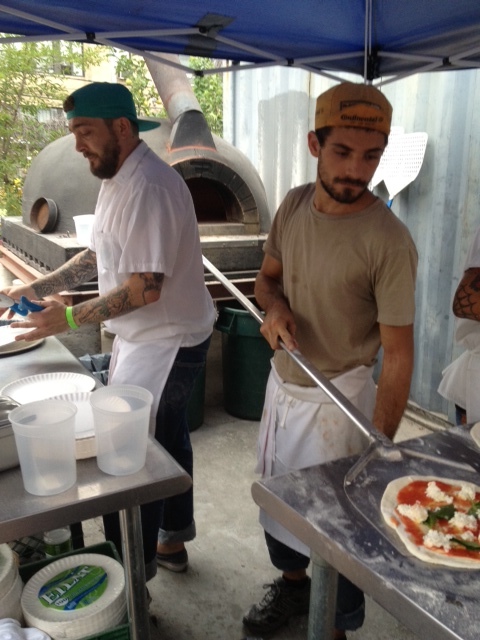 “So is it like a Neapolitan pizza Rabbi that comes every month to inspect?” – Not exactly. To get Neapolitan certified you can either call yourself that or get blessed by the Verace Rabbis one time. 5. “Why are constantly running reruns of the same cooking show?” – We’re not. Thats a live stream of our pizza making. BTW, I think its a brilliant move to add the “by [your name]” part oto the name. Just makes it look that much cooler. i.e. Le Grand Véfour by Ziggy. Love the sound of that. Anyway, we started with the Montarana, a Starita specialty which is lightly fried dough with smoked buffalo mozzarella and their signature tomato sauce. 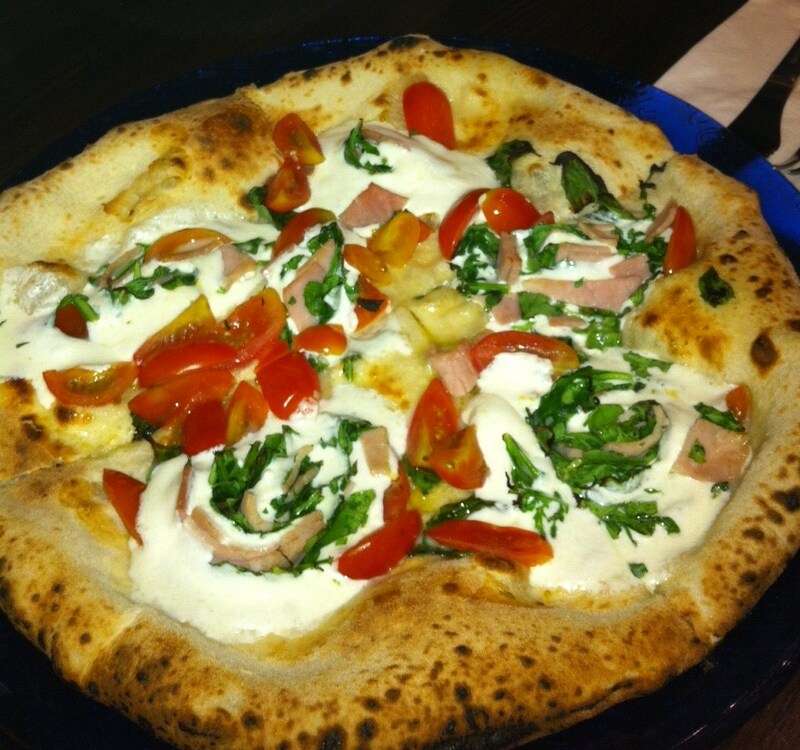 A different tasting pizza and in a good way. Liked it a lot. The Girella was a hit as well, with that prosciutto, grape tomatoes , 2 types of cheese and other complementing goodies. 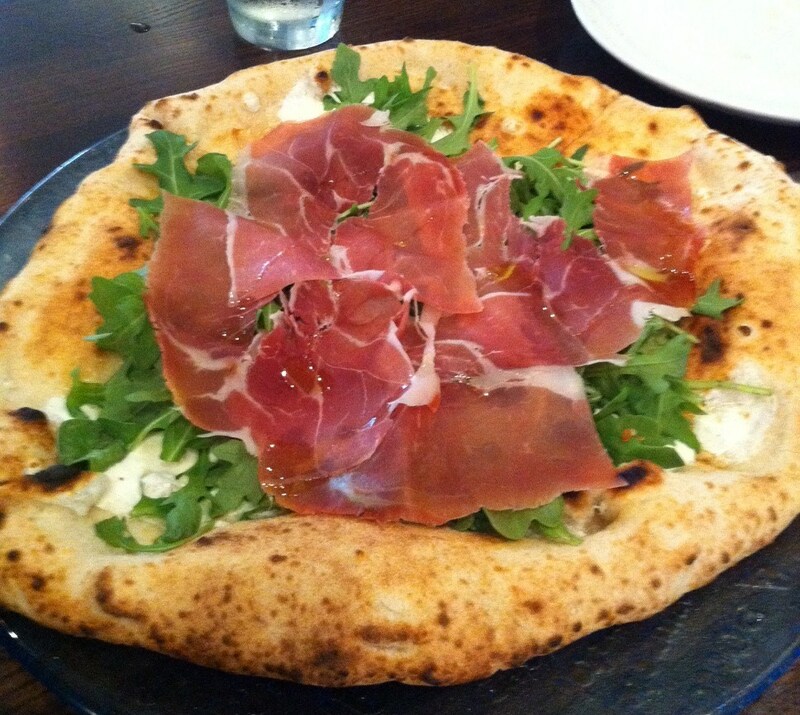 The weakest link was probably the white prosciutto with Arugula pie. Not bad, just not as flavorful as the other others. Another group favorite was the Diavola. 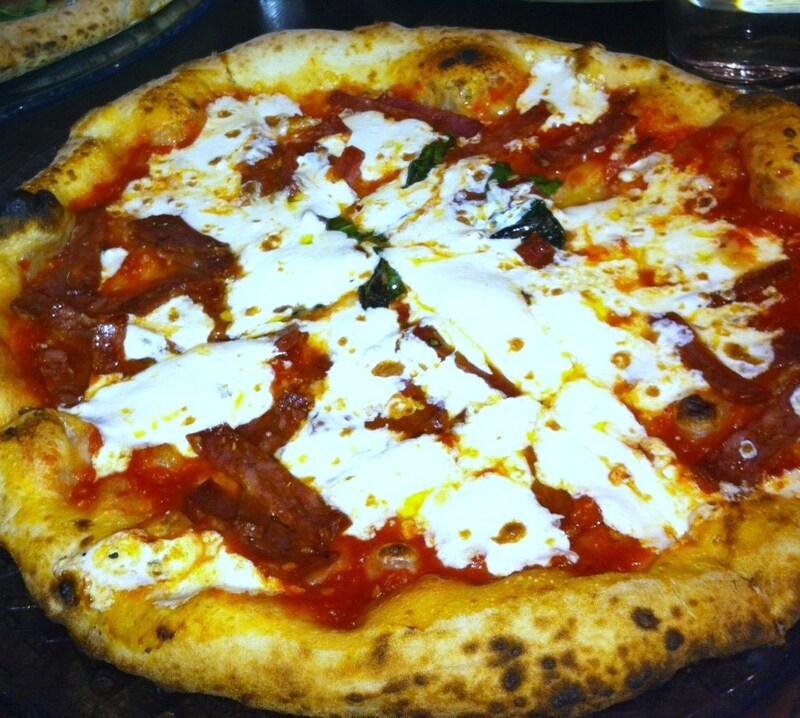 Nicely charred and tasty crust with tomato, fresh mozzarella and slightly spicy sopressata (pepperoni like). Terrific stuff!!! Da Andrea – Da bomb!! Da andrea is not something I just tried for the first time. In a city with 32,473 dining options (I counted – no, I dont need to get a life, I love counting) the list of new places to try greatly overpowers the short list of places I keep coming back to. I’m always so tempted to try something new. And then there’s Da Andrea, the one place that became a family annual. The only place. Le Tigelle – Made on the spot buns of heaven, with prosciutto imported from Parma. Tried this in other spots – Feh! Oh oh did I mention that the owners/cooks are from Emilia Romagna, the food capital of earth. Homemade Pappardelle with sweet sausage – So good! a brouhaha in my mouth!!! with that truffle oil essence, cooked to perfection goodness. A must for me each time I’m there and I’m craving it right now. You know how it is. 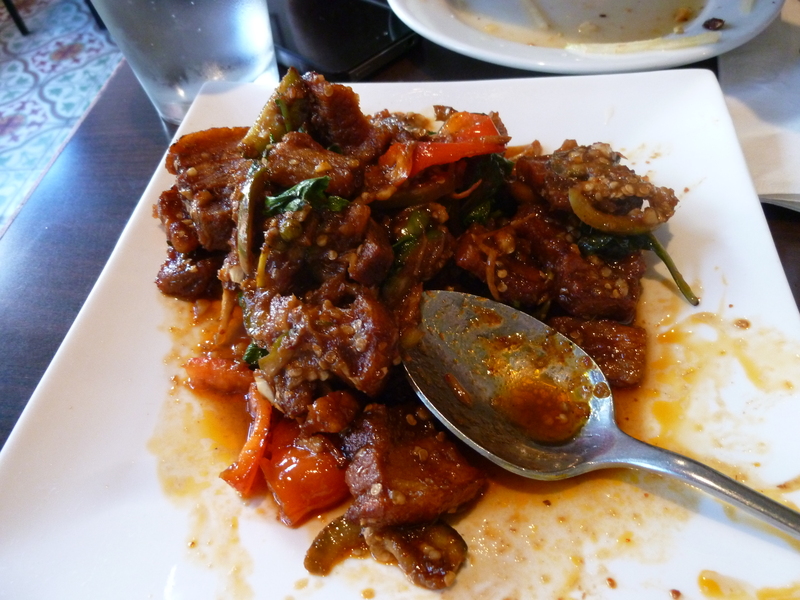 You visit another country, come back, miss the food, look for something similar and get mildly to greatly disappointed. With Italian its normally greatly. Aldea (Portuguese) was mildly. I wanted to visit Aldea for a while now and somehow scored a last minute Friday 8 pm reservations which is a miracle for Michelin Star restaurants. Nice looking multi floor space with an open kitchen. You can even reserve a seat facing the open kitchen which is kinda neat. Every time I sit somewhere where stairs involved I 1) as a parent worry about the food getting to my table safely and 2) feel like I need to tip more. The Shrimp Alhinho was a hit. 5 large, succulent shrimp with a very complex and flavorful sauce that includes roughly 73% of your spice cabinet, Pernot, Brandy and 2 trips to the supermarket. Very nice dish!! Octopus however, not so much. Just not enough.. what you call it… Flavor. Even the squid ink puree couldnt save it. Couldnt help reminiscing about all the amazing Octopus we had in Portugal for a fraction of the price. For main we had a good but unmemorable Skate and the more memorable house specialty Arroz de Pato. AKA Duck Paella on crack!! Toasty rice mixed with yummy duck, chorizo, not so yummy duck, spices and some clementine creme on the side (nice touch). Very flavorful! For Dessert, a Banana mousse was a no brainer pick but it wasnt as amazing as it sounded. The Sonhos (little dreams) of chocolate-hazelnut, lemon curd, and salted caramel mini donuts was more like it. Many items here reminded me of Marea. In Marea I felt like I ordered all the right dishes, but Aldea made me wonder what could have been.